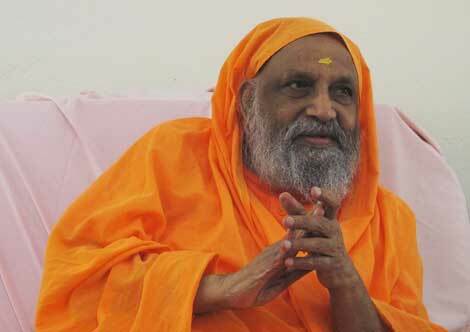 Parama Pujya Sri Swami Dayananda Saraswati (1930–2015) was a teacher of teachers, a pre–eminent teacher of Vedanta and a renowned Sanskrit scholar as well as one of the world's foremost authorities on Vedanta. For over 50 years he taught what he referred to as “traditional Vedanta” — in the traditional way — carefully distinguishing it from its modern derivatives. He lectured all around the world and has numerous publications to his name. He was the convener of the Council of Teachers of Hindu Tradition (Hindu Dharma Acharya Sabha) comprising 125 spiritual leaders of the twelve main Hindu Traditions. On an international level, in 2008 he represented this body in the signing of the Hindu–Jewish Accord that put to rest centuries of misunderstanding between these two major religions. He alone represented Hinduism among the 18 leaders of the world's religions and spiritual traditions invited by the Dutch Government to sign the Faith in Human Rights Statement, in the presence of Her Majesty Queen Beatrix of the Netherlands, in December 2008 on the 60th anniversary of the Universal Declaration of Human Rights. 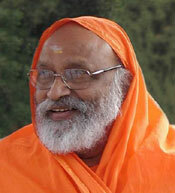 These were just a fraction of Swamiji's wide–ranging humanitarian, diplomatic, religious and teaching activities. Please see this tribute for a fuller picture, plus this profile. His extensive involvement in the world gave him an easy rapport with audiences Eastern and Western, yet his ability to live the purest of traditional values remained unaffected. In this acarya, revered by many as a saint, was found the deepest erudition and understanding combined with utmost humility. He was a man with the sharpest of sharp intellects, an intellect whose subtlety and depth enabled him to produce some of the finest explications of the Gita and Upanishads, and their respective Adi Shankara commentaries, ever seen.